Lexus LC Convertible to be Introduced in 2018? Expect to see “a number of additional variants,” according to a senior executive at Lexus, something backed up in conversations with several other officials at Lexus and its parent, Toyota. Among the other versions of the Lexus LC 500 under development, a convertible is expected to follow about a year behind the coupe’s debut. An even higher-performance LC F is still under development, as is a hybrid version that may shatter perceptions, suggested one source, by proving that gas-electric vehicles aren’t only about saving fuel. Introducing an LC convertible may seem an obvious choice for Lexus, but it would mark a significant moment for the brand. Lexus has long avoided low-volume models, and flagship convertibles may be the smallest segment in the entire market (outside of high-end supercars). If true, this move would be further validation of the points made by Toyota President Akio Toyoda during his Detroit speech. As for the LC hybrid also mentioned, an earlier rumor had Lexus introducing a 470 horsepower LC 500h alongside the LC 500 in Detroit. Could the hybrid model be slated for a reveal at another auto show this year? 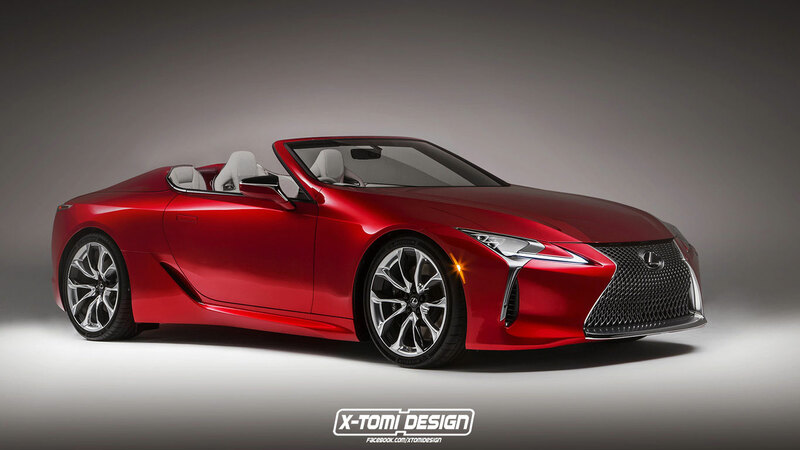 The LC convertible rendering above was produced by X-Tomi Designs, a talented photochopper also responsible for the LC F image featured last week. Meth Jayasekera: An LC Hybrid is a good idea, but I'm sure it wouldn't get enough sales, since it would be more expensive. Raph Estabillo: No.... they should make the RC Convertible first. The IS Convertible is already aging like crap.